The recipe that I share with you today is usually consumed during Easter, but you know that I am not very much in favor of classifying it into specific dates. I like the tradition of preparing and/or tasting certain dishes or sweets at specific times of the year. But I also believe that we should enjoy what we like whenever we feel like it, because life is made for enjoyment. 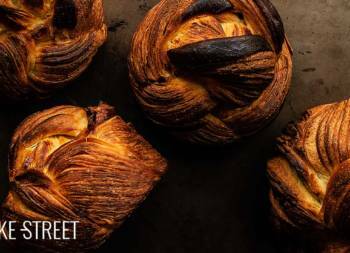 Today we will see how to prepare the Mouna or Mona, a brioche dough flavored with orange blossom, citrus and green aniseed. 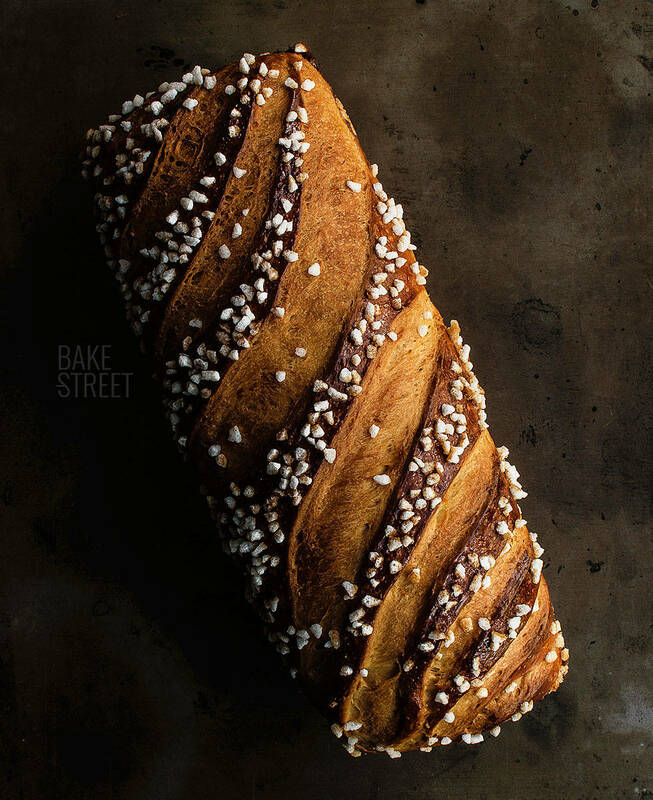 The Mouna is a sweet bread, traditionally in the shape of a dome-shaped or crown, common in the kitchen of Pied-Noir (black feet in French) and Oran, Algeria. Pied-noir is the name given to citizens of European origin who lived in Algeria and were forced to leave the country after independence in 1962. Most of them moved to France and a small minority settled in Valencia, especially in Alicante. 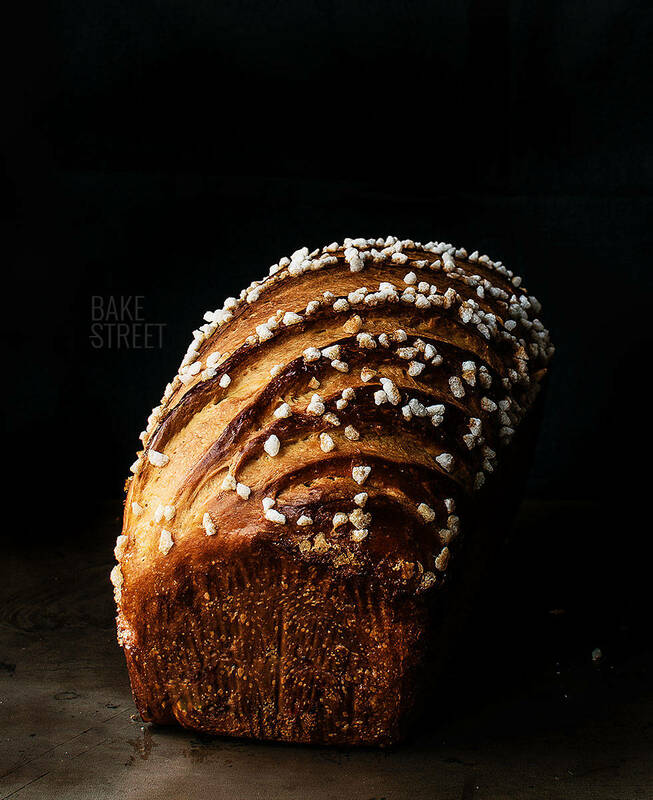 There are many hypotheses that speak to the name of this bread. 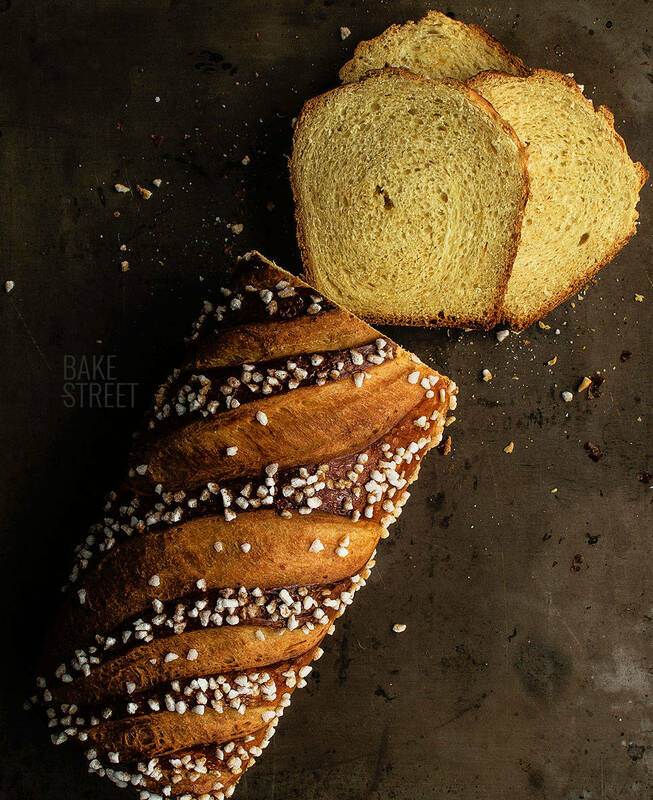 Some speak of the similarity between the mona de Pascua and the mouna, it is said that this sweet bread was brought by the Valencians who lived in Oran. Another of them connects the name of the brioche with the fort built by the first Spanish governor Don Diego, Marqués de Comares, on the same site of the disembark. It was called “Mona Castell“, château de la Guenon, which became the “Fort de la Mouna” and later the “Fort Lamoune“. The reason for receiving this name is because it was said that the place was completely wooded and inhabited by monkeys. For the feast of Easter, the families of the prisoners passed through the walls of the fort, cakes or sweet breads pricked on very long sticks. Hence they took the name of the place. It is also argued that this sweet bread was named after the Oranians who used to go on picnics on Easter holidays near this fort. Henri Chemouilli, for his part, mentioned that the word mouna probably comes from “mimouna mouna” from the Arabic imoun meaning “happy”. This word refers to the last day of the Passover. According to André Lanly, mouna comes from the Valencian mona, which would derive from the Latin word munda in the expression munda annona, meaning “luxury bread” in the Roman army. In the Algerian folk language, mouna also meant a blow to the cheek “He put such a mona on it”. 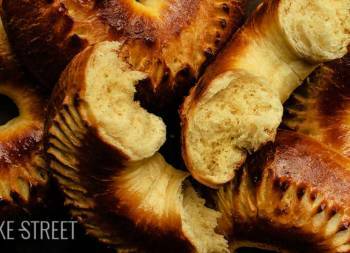 Legends behind a sweet bread. Claude Arrieu, in an essay on the religious festivities in Algeria before 1962, thought that the mouna came from the Catalan Easter brioche, the mona. In fact, the Valencians, Mallorcans and Catalans would have brought to Oran a know-how of more than three hundred years. According to historical documents studied by Arrieu, this Easter cake, born in the province of Alicante, is joined to a legend. An old woman called “La Mouna” who was kneading white flour bread and fresh eggs cured a queen who had a mysterious illness. This moved the king who decided to name this cake “Mona”. 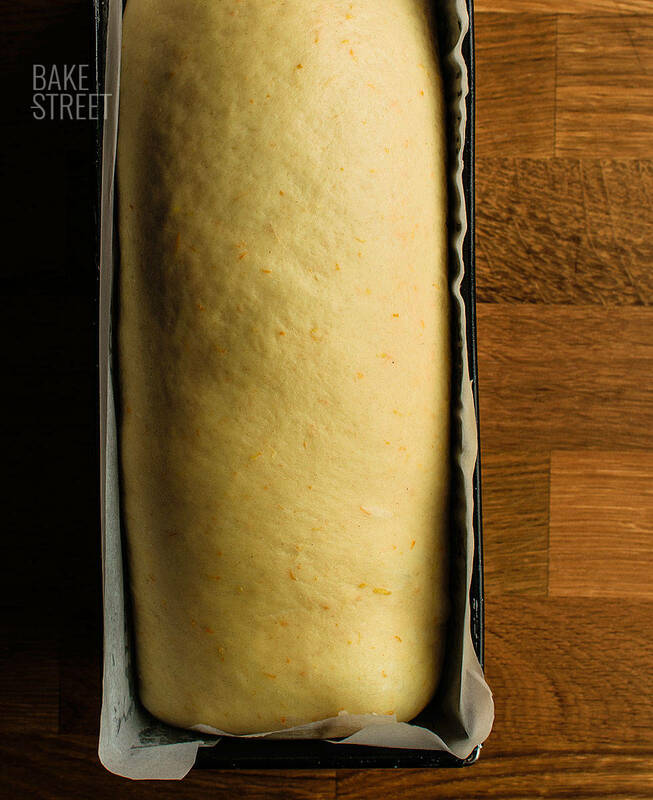 This dough can be made in different ways, but they all have citrus fruit, orange blossom and aniseed or rum in common. 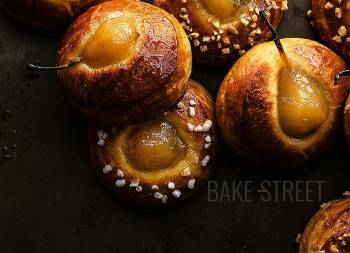 They are formed like round rolls, brushed with egg and sprinkled with pearled sugar or, in the past, crushed sugar cubes. Some of them were also decorated with an egg. Traditionally this sweet was made by the mother of the family with the help of her children, it could not be bought. It was baked in the oven at home or in the bakery and was customary to eat it on Easter Sunday during the excursion. Marc Baroli wrote “Easter is only the eve of the Mouna” and “doing the mouna” became synonymous with “having a picnic on Easter Sunday”. In my case, I made it in a different format, rectangular, the same one we can find in the book “Le Grand Livre de la Boulangerie“. In fact, I have followed the recipe in this book, which I have used on more than one occasion and highly recommend it. I have varied the type of flour and some proportion of ingredients, but the recipe and processes are practically faithful to the book. You will also notice that the fermentation process, from the moment the dough leaves the bowl, is quite peculiar. I had never worked it this way before, Olivier Magne (the masterclass I attended) worked the doughs following part of this process. I am very happy with the result, I think it is the best texture and consistency of a brioche-like dough I have achieved. Here you can read how to make water yeast fruits or here how to make common sourdough. 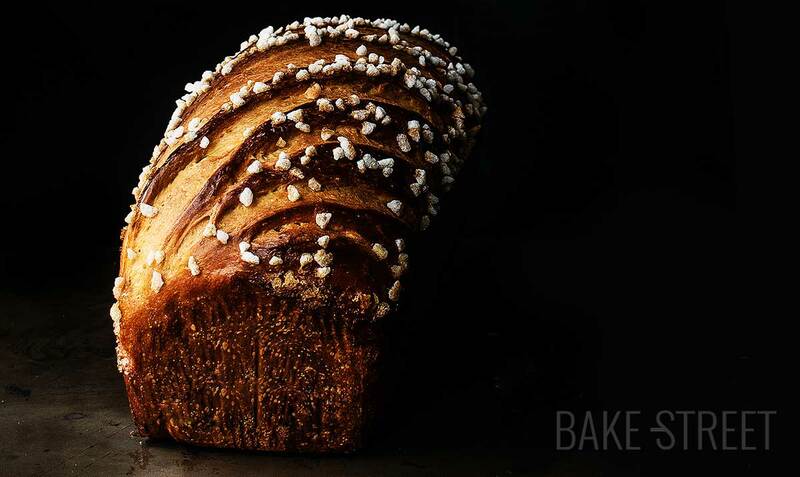 In this post I talk to you and tell you how to work with a liquid sourdough. (By the moment, are only available in Spanish). In the bowl of the dough mixer add the flour together with the egg, milk, orange blossom, liquid sourdough, dried yeast, salt and sugar. Knead at low speed for about 8-10 minutes. We'll get a semi-developed dough. 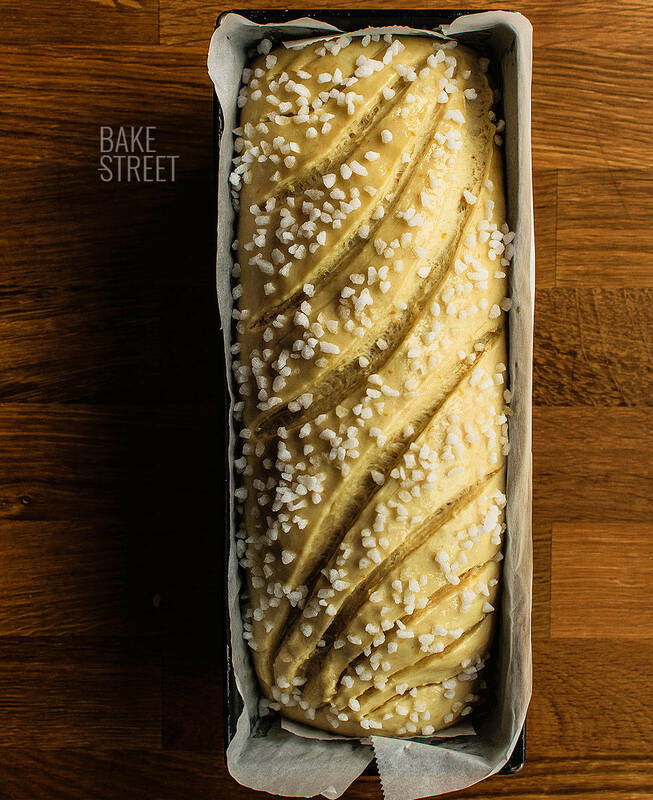 We stop the kneader and start adding the butter little by little. It must be fully integrated into the dough before adding more. Once all the butter has been added, add the zest from citrus fruit together with the green aniseed. Knead again to distribute evenly. Knead until get a good gluten development. The dough must be elastic, smooth and not cracked. Grease a tupper or hermetic container, place the dough inside and let it rise almost double its volume. Depending on the temperature it can take 2-4 hours. In my case it was 2 hours at 82,4ºF (28ºC). Placee in the fridge until the next day. Dump the dough onto a clean work surface and gently degas. Preshape gently, without exerting too much tension, place on a tray/dish, cover with film and refrigerate for 2 hours at 39ºF (4ºC). Grease an line the mould with baking paper, set aside. Take the dough out of the fridge and pour it on a clean work surface. Gently degas the dough to give it a rectangular shape. Roll on top of itself to form an elongated loaf of bread. Make sure that the length of the dough is close to that of the pan. Place the dough in the pan, lightly grease the surface with olive oil, store in a large freezer bag and refrigerate for 12 hours at 39ºF (4ºC). Temper the dough and make final proof. 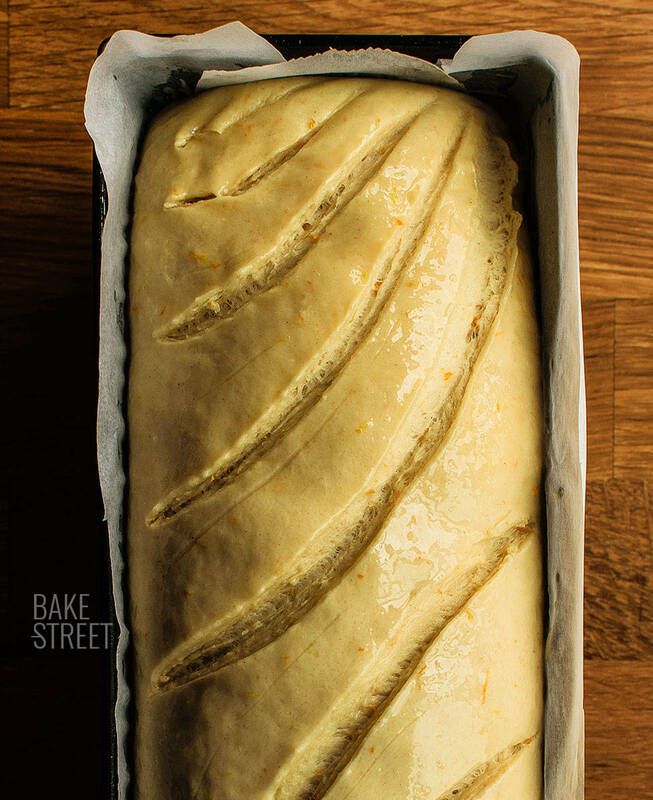 Take the dough out of the fridge and let it finish rising to its optimum point. The dome that is formed in the center should protrude from the pan. The dough will have doubled and its volume a little more. Leave at room temperature for about 3 or 3 1/2 hours at 78,8ºF (26ºC). Preheat the oven to 355ºF (180ºC). With the help of a blade, previously dipped in the beaten egg, score the surface. In my case I have created this pattern, but you can make your own. Sprinkle with pearl sugar and bake at medium heat for 50-53 minutes.Remember that the inside temperature must reach 190º-194ºF (88-90ºC) for baking to be complete. As soon as it starts to turn golden brown, cover it with aluminium foil until it is baked. Remove and let stand in the pan for 3-4 minutes. Unmould and leave to cool completely on a rack. 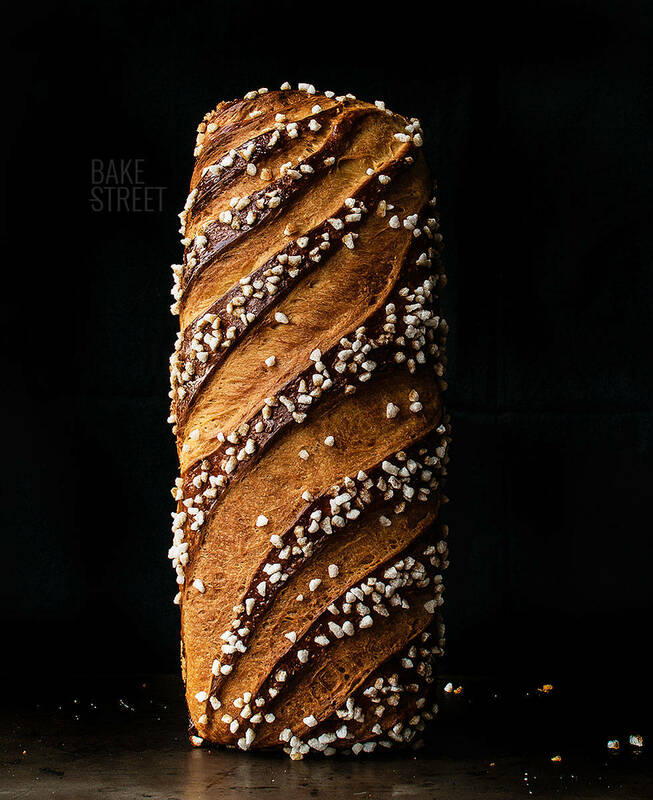 With this amount of ingredients, we will obtain a brioche of approximately 1.3 kg. It is not mandatory to give it a rectangular shape, if you prefer, you can give it the traditional round shape. Respect all the steps, resting and rising times to obtain a good result both in taste and texture. I recommend you to use a good quality butter because this will affect the final taste of the dough. They last in perfect condition for 4 days. From here on, you will begin to lose tenderness. We can freeze it in individual slices wrapped in film. They can be left to defrost overnight or toast in the toaster. This Mouna has a really amazing taste, aroma and texture. 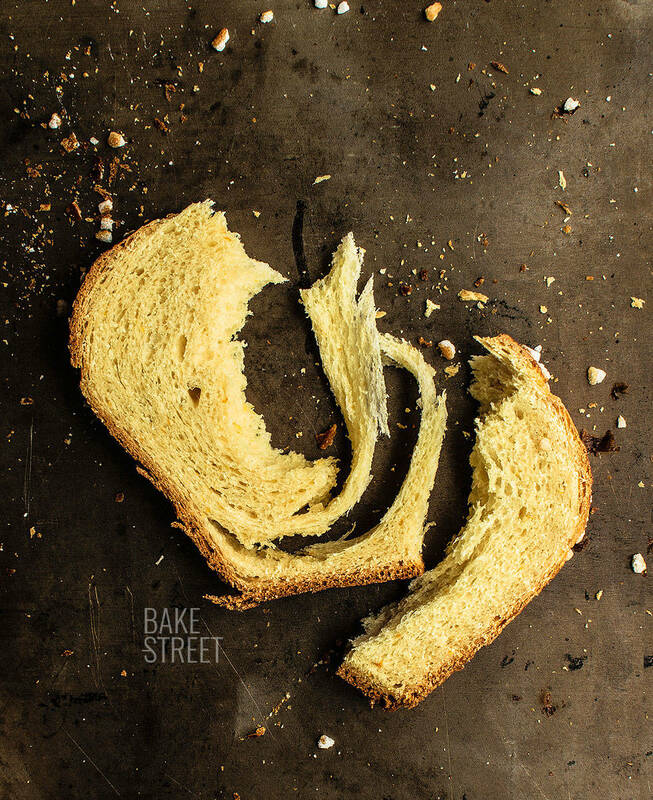 By tasting each slice, you will be able to fray its crumb, I assure you that it will not disappoint you at all. 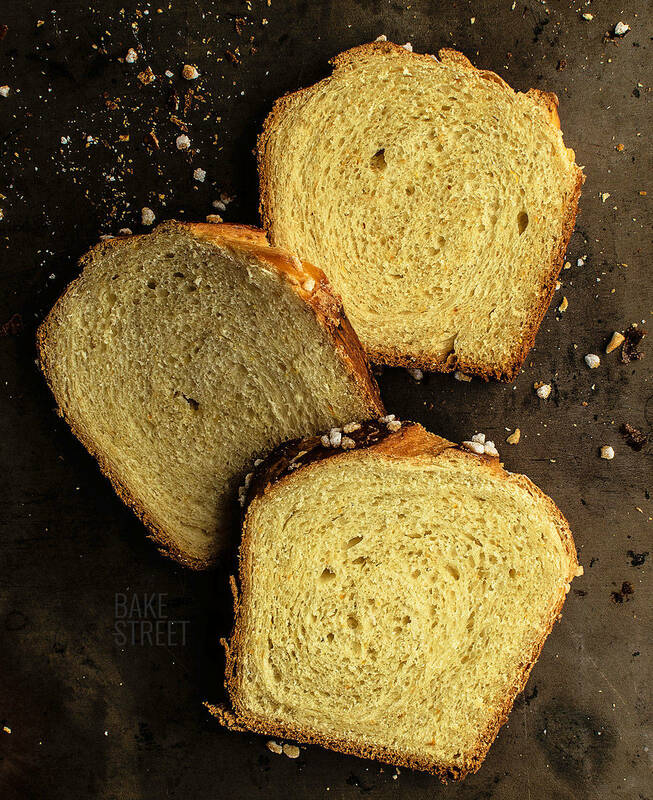 In addition, this weekend is going to be rainy and cold, so it's perfect for getting into the kitchen to prepare this brioche. I hope you'll dare to do it at home and tell me what you think. I wish you a fantastic weekend, see you on Monday.